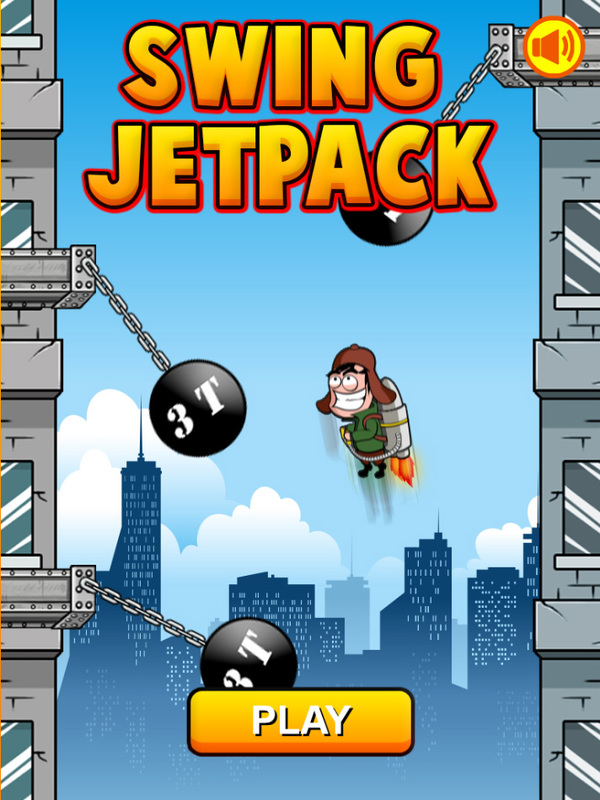 Swing Jetpack is a HTML5 Action game. 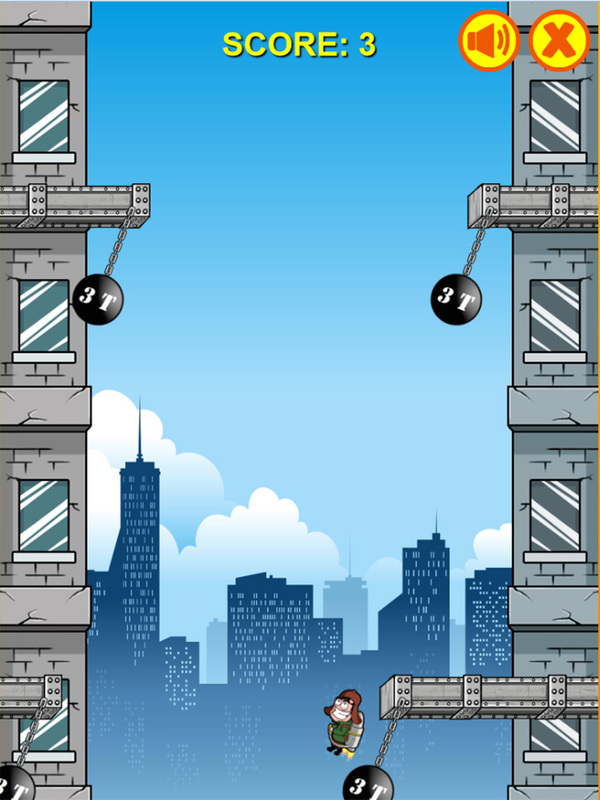 The game is freely inspired to the popular game ‘Swing Copter’. 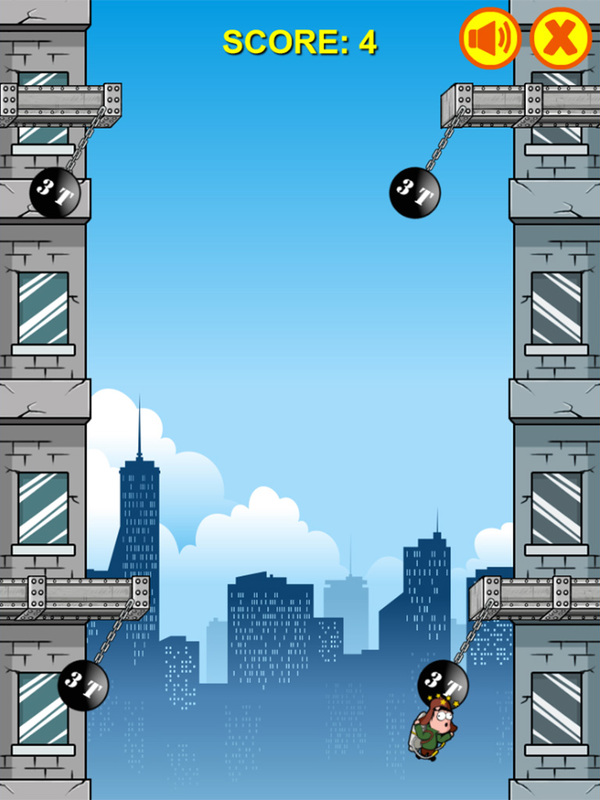 The goal of the player is to tap the screen to let the hero survive as long as possible avoiding the obstacles. 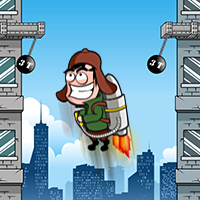 This game has been developed in HTML5/js and third-party library CreateJs – http://createjs.com/ (not Construct2 or other framework). 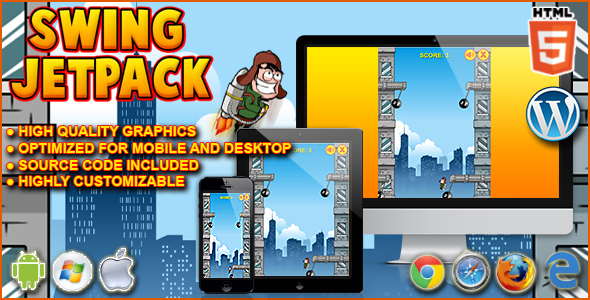 The ZIP package contains the game with 768×1024 resolution that scales to fit current screen device. 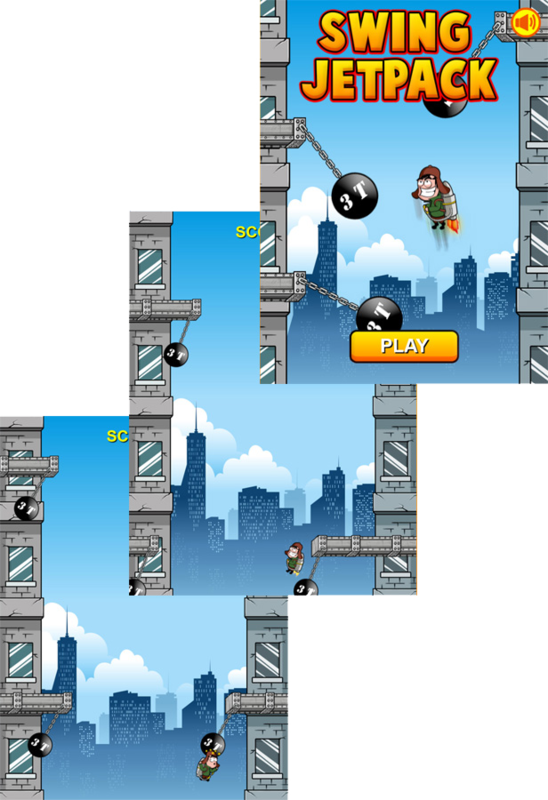 Due to some security policies, the game doesn’t run properly on Google Chrome Locally. This issue doesn’t occur with other browsers, like Firefox i.e. Anyway, once you’ve uploaded the game on your server, it will work properly. We can’t be held responsible and offer support for eventual issues met during the use of the game in third party software (i.e. PhoneGap, Cordova, Iudei). === Even if we do our best to minimise any inconvenience, we can’t ensure the full compatibility of all our games on every device and every operating system update.